The Morris campus was founded on the original homelands of the Dakota, Lakota and Anishinaabe peoples. The Sisters of Mercy established the campus as a boarding school for American Indian children In 1887. The federal government managed the Morris Industrial School for Indians on the site from 1897 to 1909. Schools such as these aimed to eliminate Native languages and cultures. The impacts of these assimilation attempts continue to be felt in Native communities today. The Multi-Ethnic Resource Center building housing EDI Programs was constructed in 1899. The oldest building on what is today the University of Minnesota, Morris campus, it was originally constructed as a boys’ dormitory and is the only structure that remains from the American Indian boarding school. The building was placed on the National Register of Historic Places in 1984. In 1909, Congress transferred the campus to the State of Minnesota with the stipulation that an educational institution be maintained on the site and that all American Indian students “shall at all times be admitted to such school free of charge for tuition.” This federal legislation and the corresponding state statute are upheld today. The University of Minnesota Morris recognizes both the obligation rooted in this history and the opportunity it creates today for Native American students, for the campus, and for all who gather here. Work is underway to build a campus that increasingly reflects & values American Indian, Alaska Native, and First Nations cultures, histories, lifeways on campus as part of the Morris educational experience. EDI is proud to support the 300 Native American students from 65 tribal nations who live and learn here today and to be a partner in language and cultural revitalization efforts. In 1973, Mr. William “Bill” Stewart founded what was then called the Minority Student Program. Director from 1973 to 1998, Bill is revered for his faith in every student’s potential, for his enduring commitment to student academic success and identity development, and for his efforts to support a diverse and thriving community at UMM and in Morris. Today, the Multi-Ethnic Resource Center houses the Equity, Diversity and Intercultural Programs offices -- including the Multi-Ethnic Student Program, the Resource Center for Gender, Women and Sexuality, and the International Student Program. 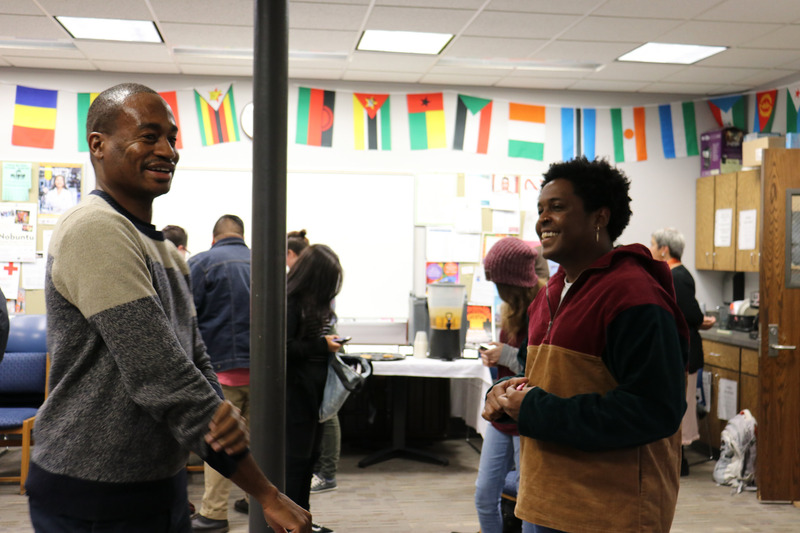 Located on the first floor of the Multi-Ethnic Resource Center, the Multi-Ethnic Student Program (MSP) lounge (Room 109) is a favorite spot for many. It’s a great place to study, hold meetings, or watch tv. The lounge has four computers and a printer for student use. It also features a 42" plasma TV with surround sound. The lounge is generally open from 8 a.m. until 11 p.m. during the week and noon until midnight on weekends. Student organizations can reserve the lounge for meetings after 5 p.m., but computers must remain available to students at all times. The lounge cannot be reserved for meetings prior to 5 p.m. Monday through Friday. Call 320-589-6095 with questions or to make a reservation.